This method blends 9 highly therapeutic essential oils into the massage session. 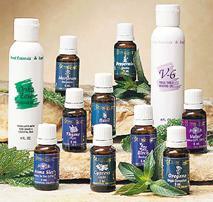 The essential oils have antiviral, antibacterial and antispasmodic properties. Each oil is dropped and layered in a raindrop fashion up the spine then lightly massaged in. These restorative oils are absorbed by the body and are within your bloodstream within 20 minutes. The oils stay in the body from five to seven days and are discharged like other nutrients. Many people report increased energy, alleviation of back pain, and a general sense of clarity after a treatment. Another benefit of Raindrop Therapy is its ability to boost the immune system due to the antiviral, antibacterial, and antiseptic properties of the oils. Raindrop Therapy Can Be Added To Any Massage Session. Relaxation -- Therapeutic--Deep Tissue -- Ashiatsu Oriental Bar Therapy. Send mail to: Mary@JanuaryMassage.com with questions or comments about this web site.